3-4 year old soccer building brave, creative leaders. I started a non-profit organization earlier this year that raises money to provide scholarships for two to four year olds . 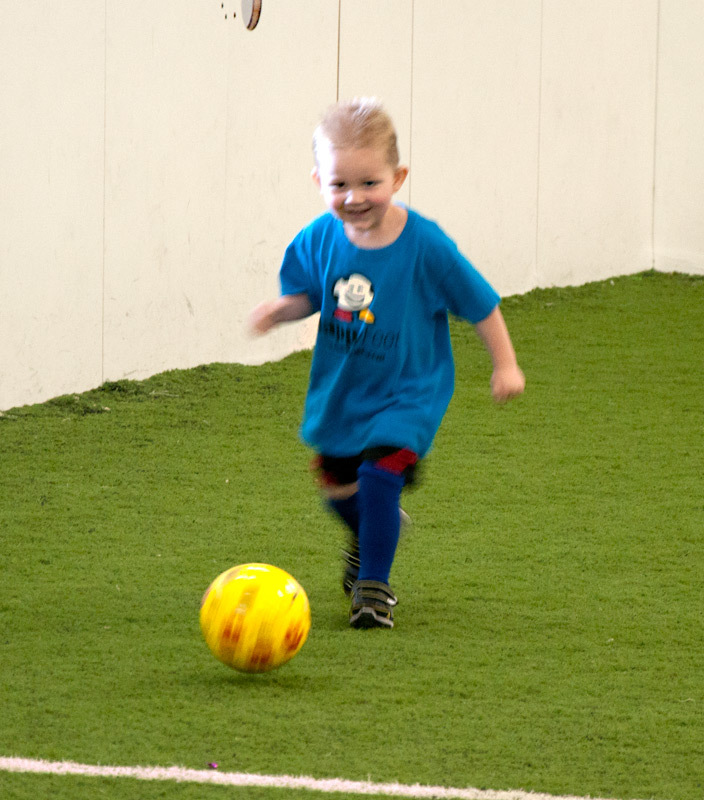 The scholarships give 2-4 year olds the opportunity to join a local soccer program. The Kansas City area has several soccer programs for kids, the Happy Feet Legends Soccer Program and the YMCA are a few. I was never a soccer mom, but I have seen how the soccer program focuses on creating brave, creative leaders for life. The first scholarship will be awarded in the Spring. A receipt for you donation will be provided for your tax-deductible records. My goal is to raise enough to allow 12 children to participate in a soccer program this Spring 2014. Youth soccer programs are offered by the YMCA and the Legends Happy Feet Soccer Club. The cost of participation for a child is $100 for 6 to 9 weeks of soccer play. You can help! There are over 1700 pre-school soccer teams with 9-12 kids on each team. Parents who struggle to provide shelter and food, don’t offer their young children the opportunity to socialize in group sports. Participation costs money. I would like to reach out to families with 3-4 year olds who would not be able to play soccer because of family economic situation. Please contact me if you would like to help, have a suggestion, or know a child you would like to nominate.